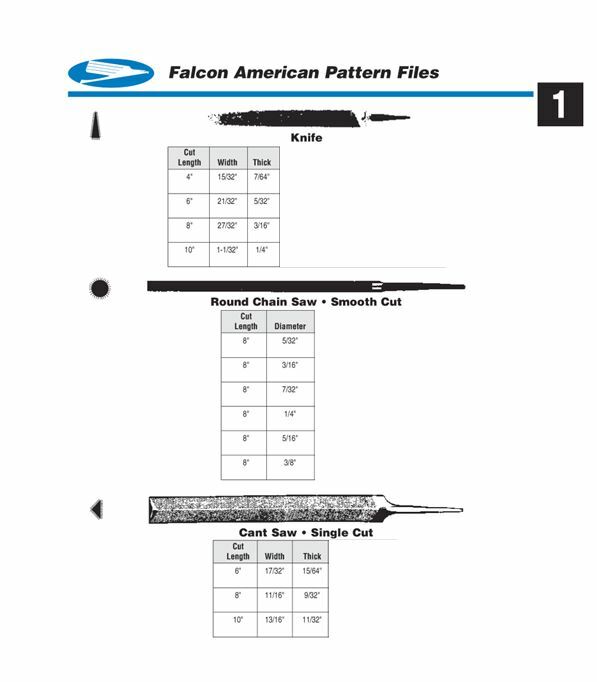 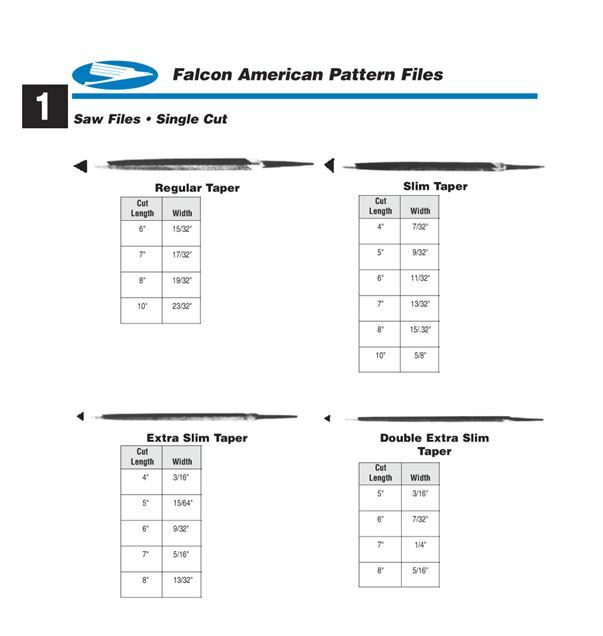 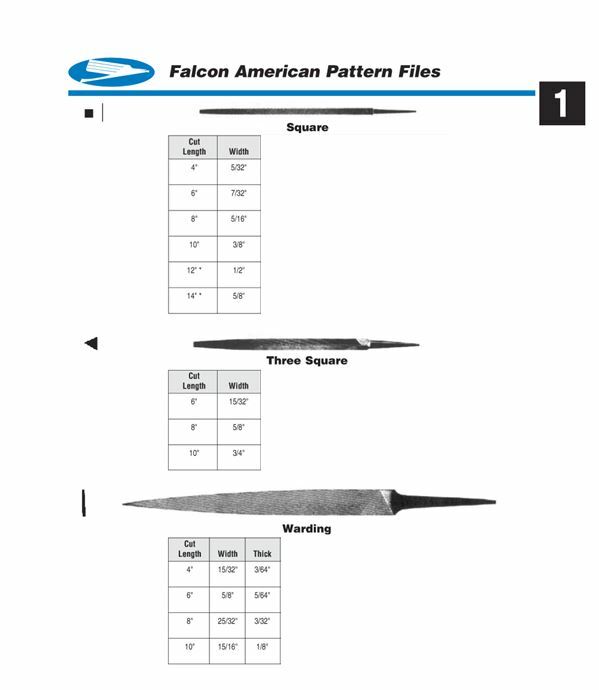 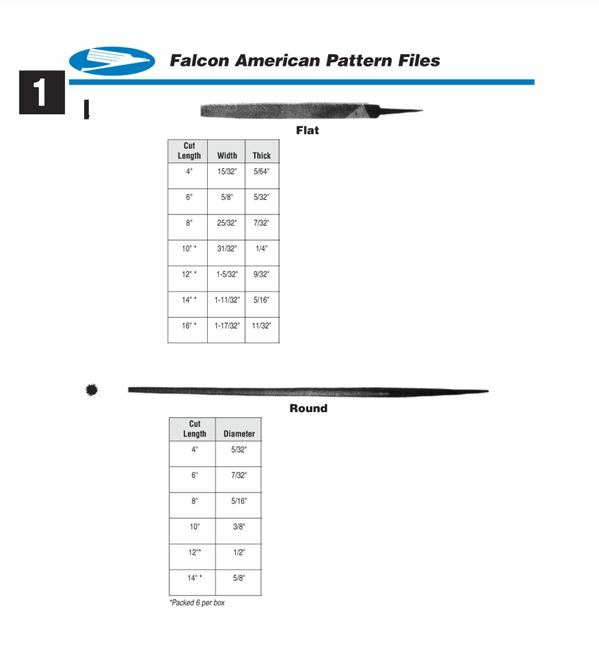 Falcon's American Pattern Files are uniform in cut to permit removal of more metal faster. 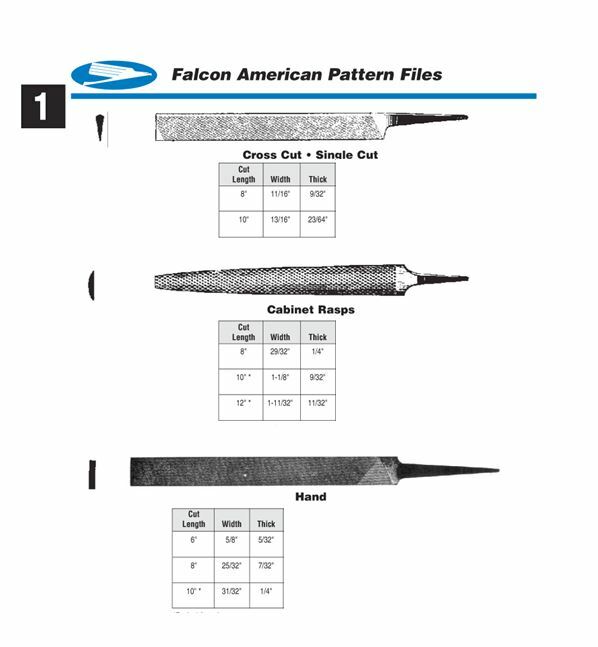 Extremely durable and scientifically balanced, each file is the product of a long tradition of superior craftsmanship combined with the most advanced technology. 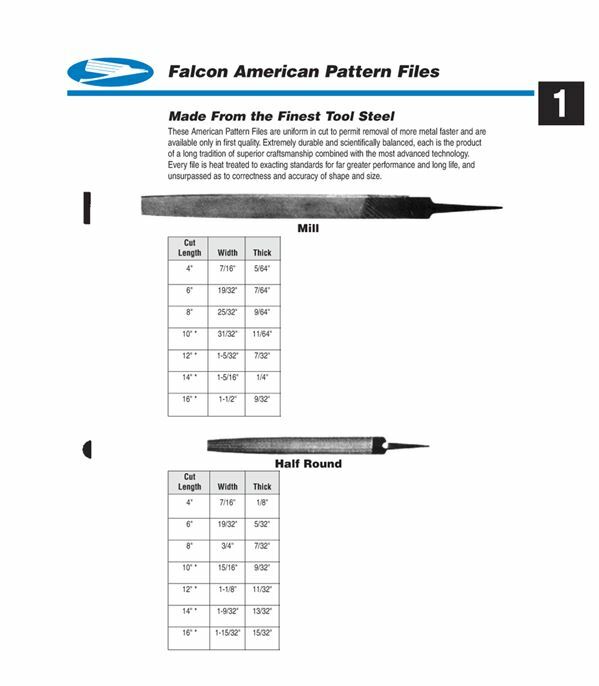 Every file is heat treated to exacting standards for greater performance, long life and accuracy of shape and size. 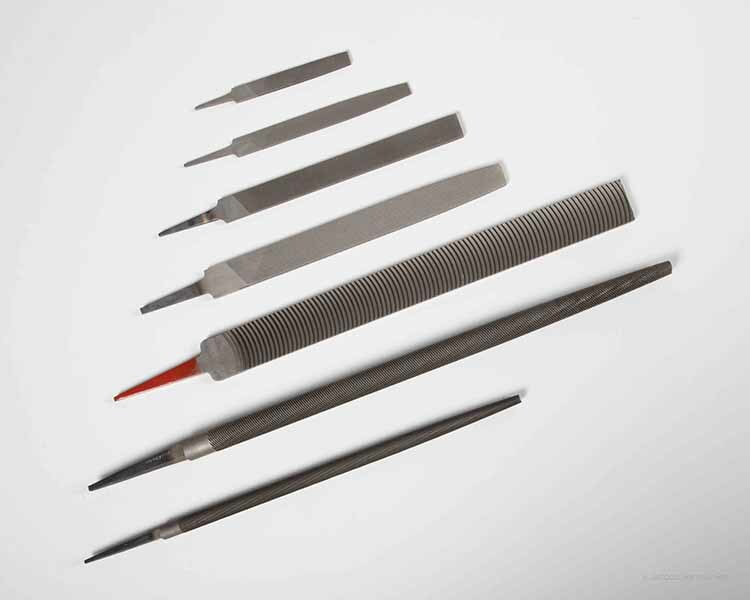 Used for rapid metal removal on sharp corners, shoulders and flat surfaces. 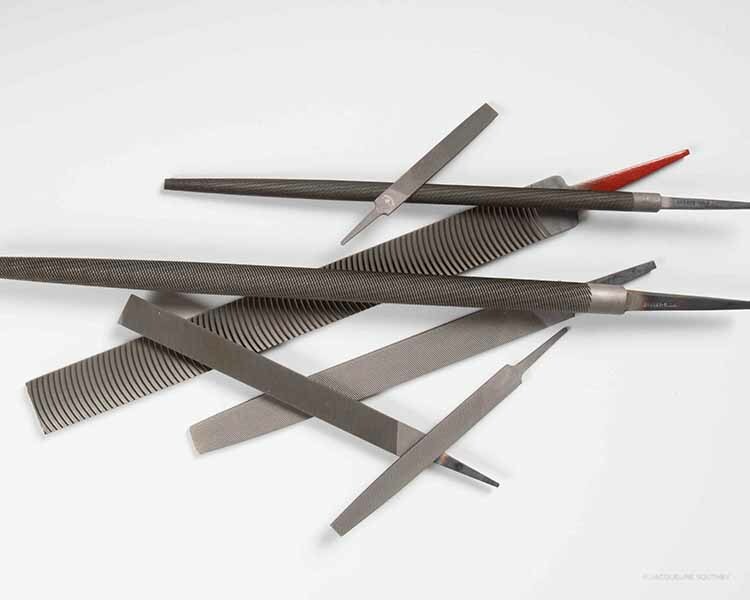 Reduce or smooth surfaces and remove nicks or burrs with ease. 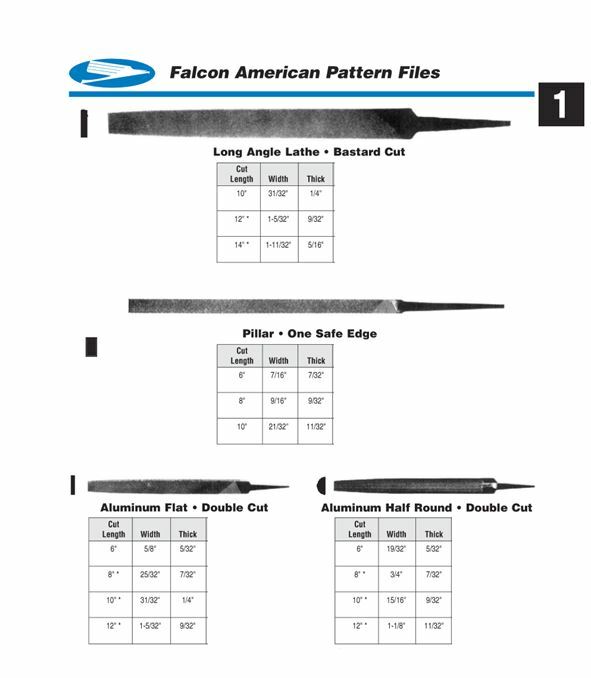 Special shapes and sizes available by request, contact Customer Service for assistance.